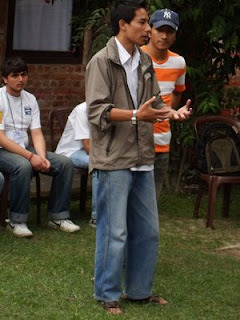 Being a part of the web-development team, quiz team and a part of the whole Software Freedom Day (SFD) team in 2006 as a collaborative effort of FOSS (Free and Open Source Software) Nepal Community was a great experience. It was a learning experience with chances to lead and to follow great leaders. Those 2-4 months from June 06- mid Sept 06 was a time I found new potentials in myself. In 2007 due to my internship and exam I was not able to contribute to FOSS Nepal community and could not even attend SFD 07 :-( and this year being busy I could not help but at least attend the “DASHAIN” for FOSS enthusiasts in Nepal today. As in yester-years this year also Yela Maya Kendra became the venue to hold the most important event in FOSS Nepal community but unlike previous years I found the crowd very less this year. It was more like a FOSS members meet with some people that may have come due to word of mouth publicity. I don’t know but in yester-years people used to queue up for registration but this year when a Minister is opening the event there was so less presense of the public. Well on the whole, the programs being carried out were ok but inadequate this time there was no project demo or even distro demo. I found the SFD 08 black and white compared to the one I was actively involved in two years back. Anyways we had an open space and I was good. We mainly advocated about using Model-View-Controller (MVC) Pattern in web development, how it helps to stick to a standard and make code better readable, usable and maintainable on the long run. The open space discussion went quite OK but I expected more questions and participation. None the less we got some interested people and it was fun to discuss such things with like minded people who share same interest. Other than that the Open movie was a great one, animated movie Big buck bunny. 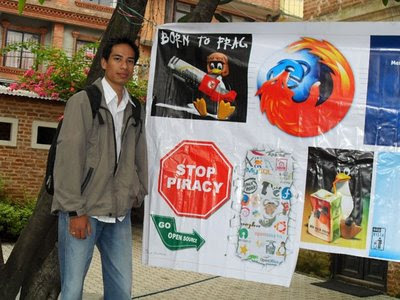 Then a session by Bibek Shrestha about Drupal 6 was also cool but he went fast ;-). It was an ok experience may be I had expected more as I heard lots about SFD 07 and it even got the best event award last year. On the whole the hours spent at Yela Maya Kendra was good, productive and helpful. Lastly happy Software Freedom Day 2008. « Is Nepal a state of India?? ?